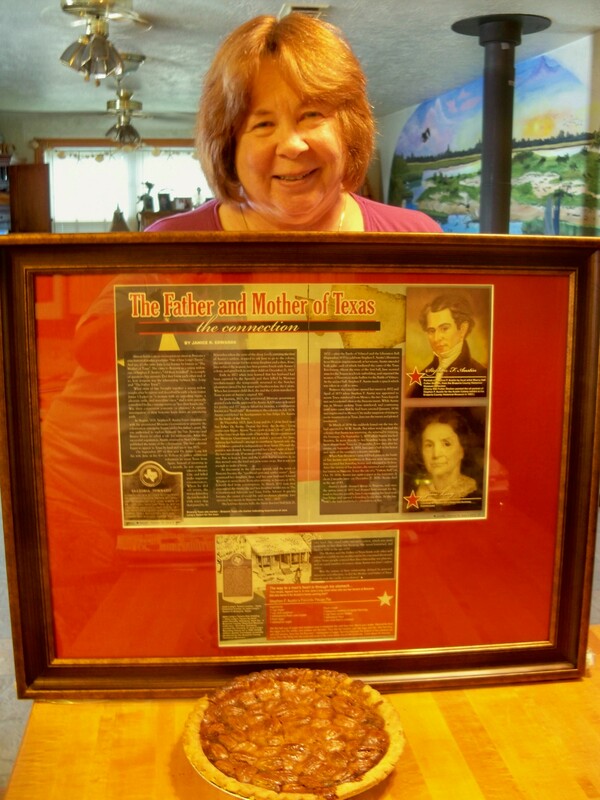 Jane Long’s recipe for Stephen F. Austin’s Favorite Pecan Pie – an intriguing bit of history I discovered writing my story about the connection between the two Texas icons. It not only made an interesting sidebar for the story, but also inspired a recreation of the pie. So I started collecting ingredients for an historically accurate recreation.